The cost of smoking brings the most disadvantaged populations further into poverty and hardship. 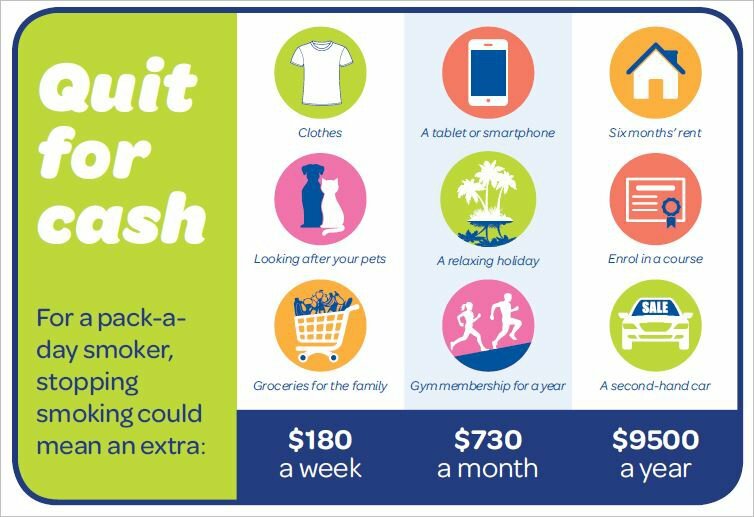 By quitting, a ‘pack a day’ smoker will save up to $9,500 a year, which is money that could instead be spent on food, secure accommodation or family. As soon as you stop smoking your body begins to repair itself. After quitting, ex-smokers will soon notice the short-term improvements to their physical health. Over longer periods of time, quitting enhances life expectancy and reduces risk of suffering smoking related illness or disease. How quickly does the body repair after quitting smoking? Almost all the nicotine and carbon monoxide is out of the system. 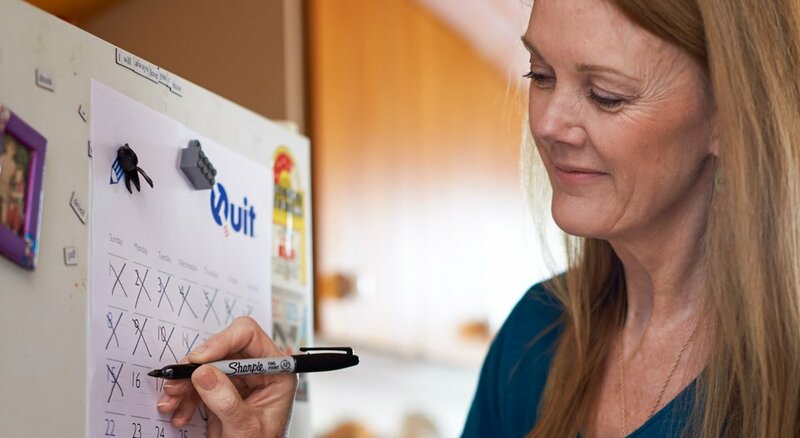 How much would your clients save each year by reducing or stopping their smoking?